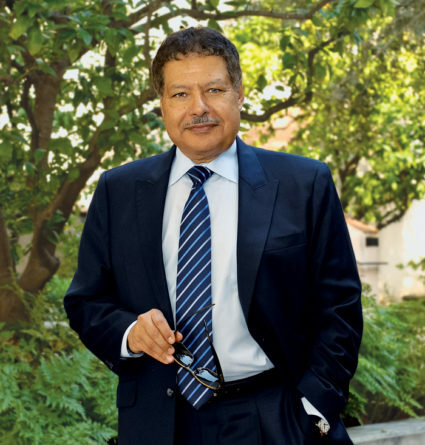 Ahmed Zewail, winner of the 1999 Nobel Prize and the 2011 Priestley Medal, is dead at the age of 70. The former associate editor of The Journal of Physical Chemistry and former Linus Pauling Professor of chemistry and professor of physics at the California Institute of Technology leaves behind a legacy of groundbreaking science and important diplomatic work. Zewail is known for pioneering the field of femtochemistry within ultrafast laser spectroscopy. He also published important studies on using ultrafast electron microscopy for imaging molecules. Outside the lab, he served on President Obama’s Council of Advisors on Science & Technology. He was an advocate for science but also worked for peaceful political change in his native Egypt following the Arab Spring uprisings of 2011. Read an adaptation of Zewail’s Nobel lecture in J. Phys Chem. A.